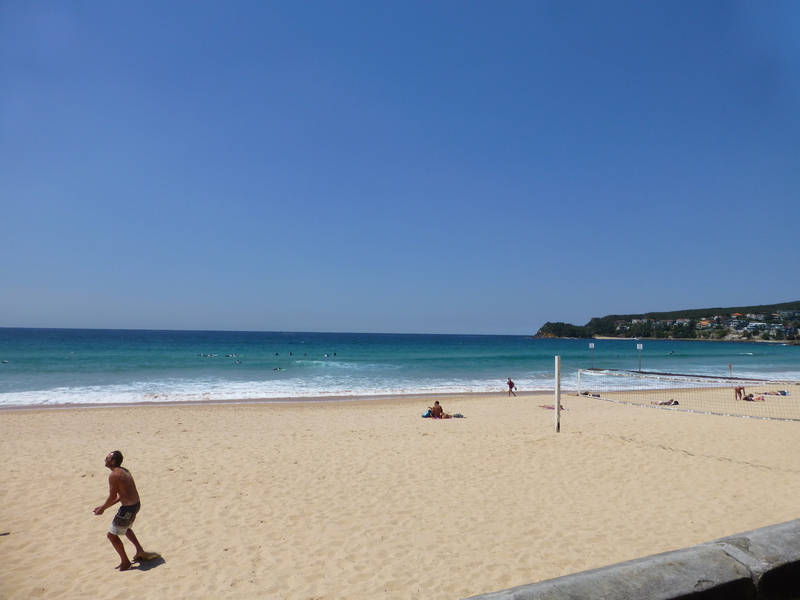 When I was a child, my parents often took me to Manly. We would get a bus to Sydney’s Circular Quay, and from there catch the ferry. The signage has stuck with me throughout my life. ‘Seven Miles From Sydney, A Thousand Miles From Care’. Its beaches are lovely, though on the day Ron and I visited it the breeze blew rather strong. 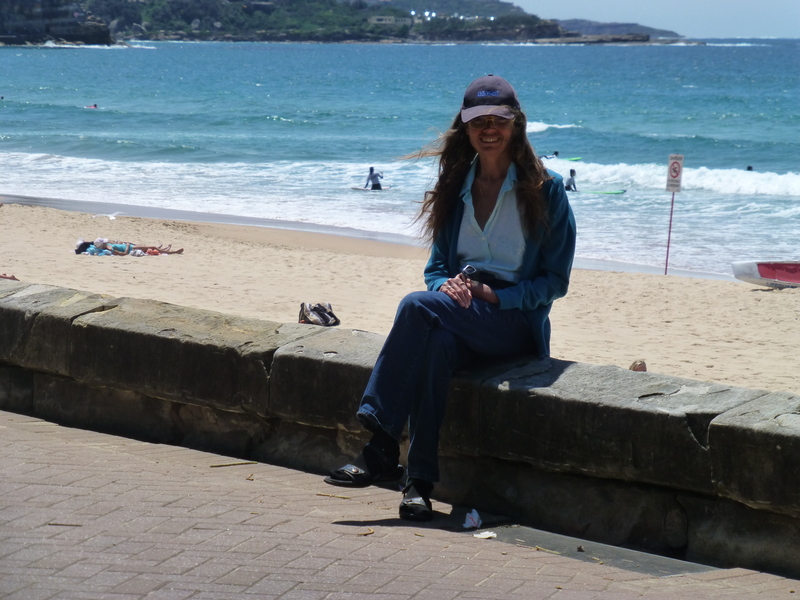 This is a photo of me sitting on a ledge, with the main beach in the background.